Pure happiness because I saw my wife and kids cheering me on! I crossed the finish line, and the unexpected happened. I began sobbing. Yes, my legs hurt after 26.2 miles, but, no, physical pain wasn’t the cause of my tears. Emotions were walloping me in the gut. 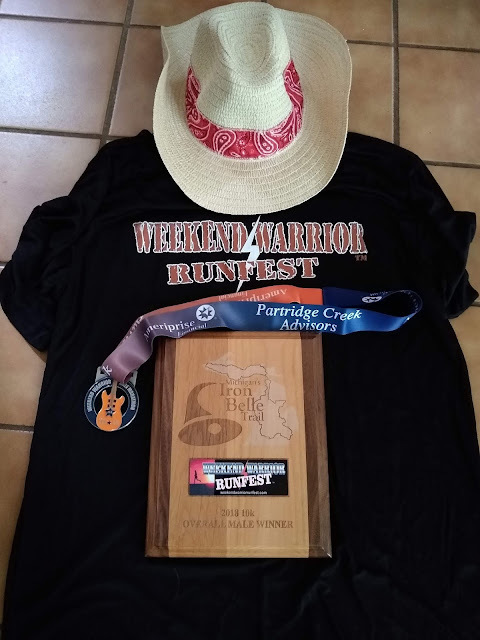 I didn’t win the marathon, far from it, but I accomplished a goal set almost a year earlier and that I almost abandoned after a disappointing finish. 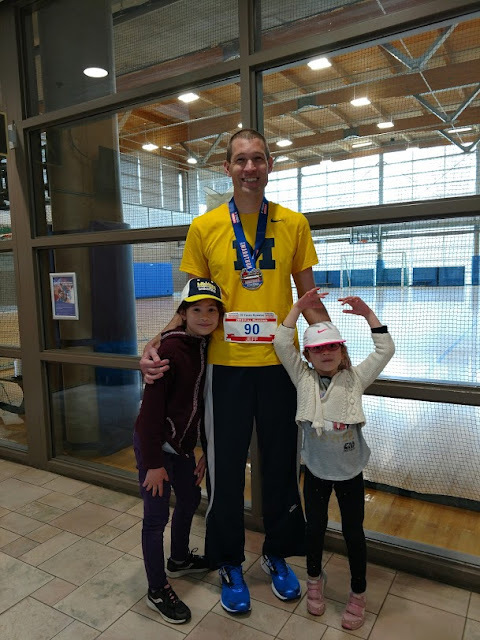 Six months earlier in Indianapolis, I missed a Boston Marathon qualifying time by 15 seconds after running a very solid race until an agonizingly slow final few miles. 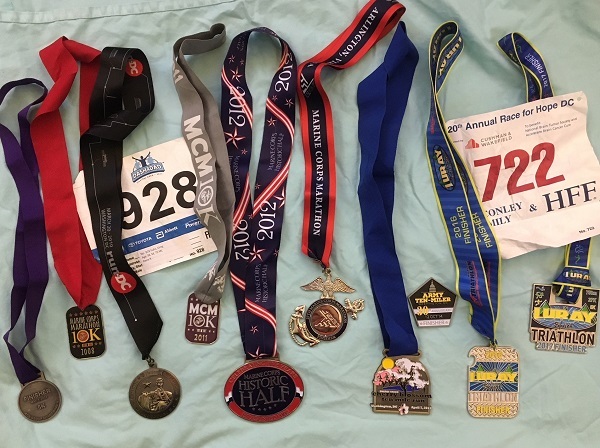 In the immediate aftermath of that disheartening finish, I decided to “retire” from marathon running and to focus on half marathons and shorter races. Within two weeks, I came out of retirement. I knew I couldn’t stop chasing Boston after coming so close. I was determined. I worked harder at running than I ever had, pushing myself through tough workouts and soul-crushing weather. 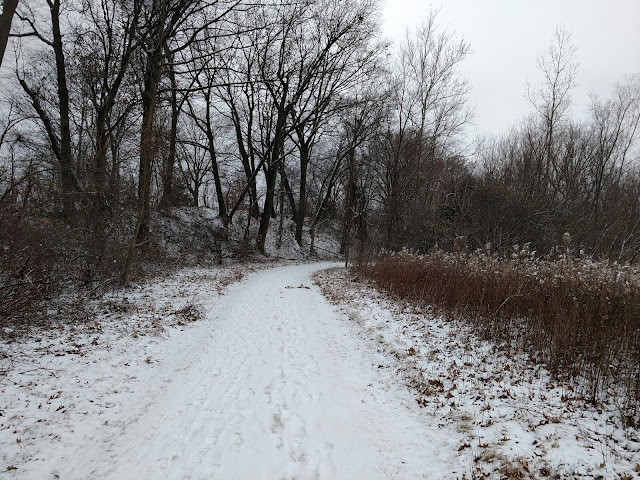 I woke up hours before dawn to run six days per week throughout what seemed like Michigan’s longest and coldest winter. I ran while sleet, snow, and rain pelted my face. I strapped cleats over my shoes, so I could have some traction on my local roads, which were no more than sheets of ice for much of the winter. There were several mornings where I was happy that I invested in a good treadmill because I didn’t want to run in subzero temperatures for six days straight. On too many mornings, I woke up to find the weather projections from the night before were not even close to being correct, necessitating a change in wardrobe or even a change in workouts. Why even try a speed workout in a foot of freshly fallen snow? Instead, I would switch it up and do the “speed” work on plowed, but still icy, roads the following day. Michigan forgot about spring and transitioned right into summer a couple of weeks before my race. 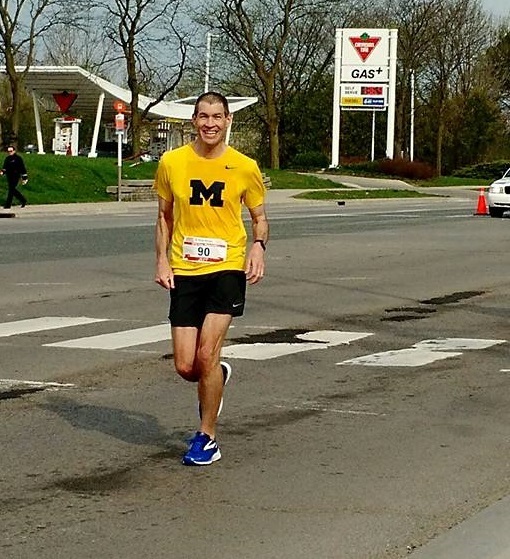 Luckily, I chose to run the Mississauga Marathon in Ontario, where the temperatures still were cool, but not cold. I lined up for the start feeling sluggish, but I got into a good groove and maintained splits within a few seconds of each other, but maybe a second or two per kilometer too fast. I started to slow a little bit around 15 miles, but I was still putting up strong splits and feeling good enough to hang on for another eleven miles. I was so close again, but my body was telling me to stop. I stopped and stretched for maybe ten seconds, praying that my legs had five more miles in them. I started jogging, thinking that I would be shuffling to the finish and another near miss for a qualifying time. But within thirty seconds my leg felt better. I started cruising at a pace that I knew would still achieve my goal with minutes to spare. With each passing kilometer marker (Canadian race, metric course), I recalculated my math to remind myself how slowly I could go and still have a qualifying time, but I pushed myself to go faster than the worst-case scenario split. I even managed to pass a few people in the last few miles, though a few passed me as well. I entered the finishers’ chute. My name and hometown were blasted over the sound system. I tried to find my wife and kids in the crowd, but I was a little delirious and did not want to trip over myself. I focused on each step and each breath until I crossed the line. I looked down at my wrist. My watch told me I beat the qualifying time of 3:25:00 by more than six minutes (3:18:48). I smiled, then I wept. I rowed in college and played sports growing up. I had exchanged high fives and back slaps with teammates after a victory or reaching a training goal, but I had never wept. On this day, I accepted the emotions. I didn't care that I was sobbing. I earned the right to weep on this day. The frustrating thing about Boston is that a qualifying time doesn’t necessarily mean you will be accepted. It just gives you the right to apply for a spot in the race. The Boston Marathon takes the fastest applicants first, so my time doesn’t mean I’m in. I knew the qualifying rules before the race, which is why I was trying to beat the qualifying time by as many minutes as my body would let me. If this year is an extraordinarily fast year for qualifiers and I don’t get in, my feelings about this race will not be diminished, because I worked hard, achieved my goal, and fell more in love with running along the way. September 18, 2018: The Boston Athletic Association accepted my application to the 2019 Boston Marathon yesterday! Hopefully, the net downhill course of the Mississauga Marathon will have me ready for Boston's similar course in April.